I am with yet another dish that can stay good with you while you travel. I think as such chapatis are good to carry for travelling and this roti made more healthy with methi, is just the right thing for you. When it was chapatis that were packed, if we were eating it for dinner, we used to make elaborate side dish and carry, mindless of the extra luggage that ends up. However those long journeys, were usually be tomato thokku. It’s either chapatis or pooris with Tomato Thokku. The Tomato thokku that Amma makes turns out so yummy that just for eating it again, I feel I should travel again. Each will be packed separately, with plates, spoons and the thokku in separate jar, making sure it won’t spill. I don’t remember it ever spilling over. It always had the right amount of oil, spice to suit a train journey. Sometimes it used to be Lemon Rice or Tamarind rice along with this pachadi. My favorite meal has always been rotis. No doubt about it. As I was making it and stacking it to be clicked, I was reminding Amma about our tours and we spent nostalgic time thinking of those wonderful memories, always spiced with great food and wonderful company. Some of the best memories of childhood, were our tours, as that was the only time Daddy used to spend time with us because of his work. As we always travelled with his friend’s family, both entertained us with stories from their medical college and life as doctors. For a kid growing earnestly wanting to become one, those were musical to ears and planning on the course life should take. However as life hardly ever happens as we plan, here I am sharing those beautiful moments, rather than actually living it. In time we realize end of the day, what we do, how we spend hardly matters, it’s the memories that are slashed behind, that come gushing forth, when we see or think, is all that matters. Life is more colourful, because we tend to recreate the same magic again, for us and our kids. 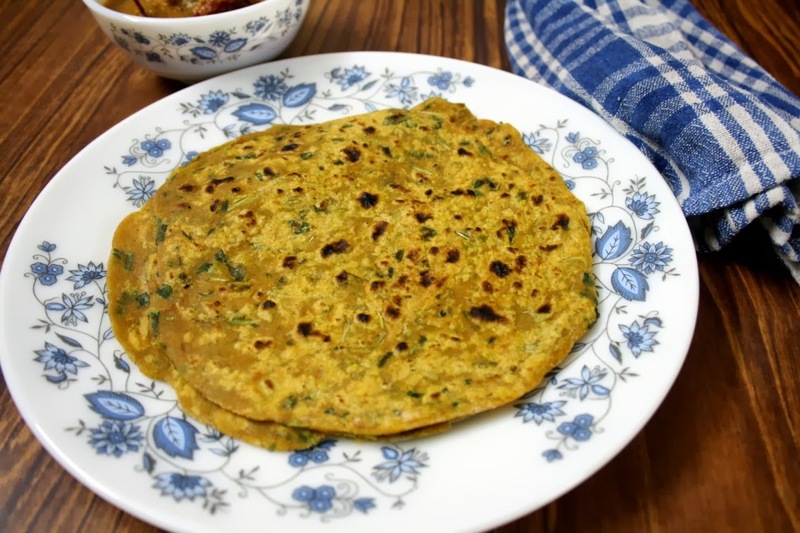 And I once again enjoy the moments with memories of roti rolled over tomato thokku spread inside and enjoy a bite of these methi rotis, dipped into spicy Cauliflower archari.. 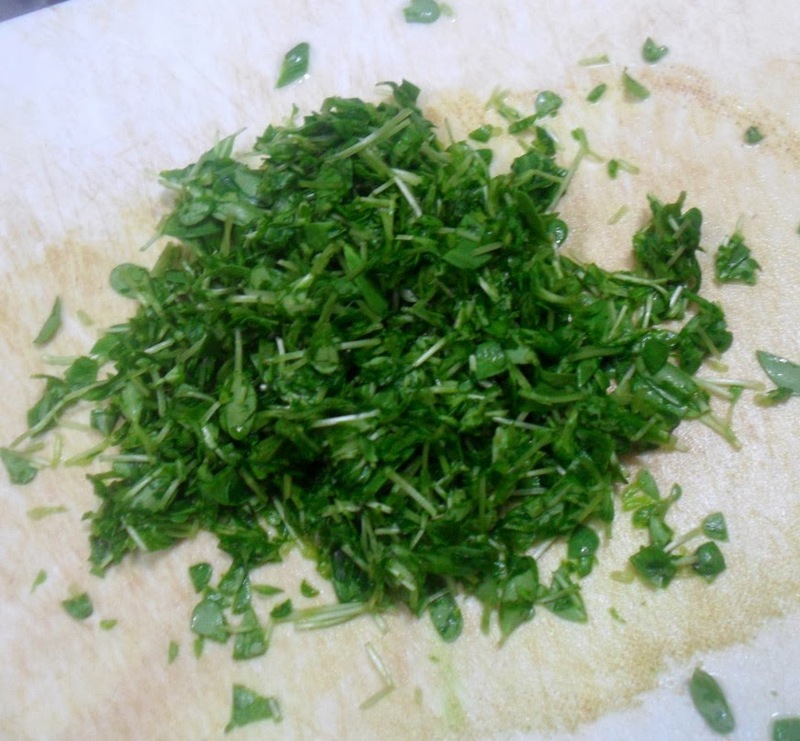 I am sure you will too..
Wash and make sure the methi leaves are clean. 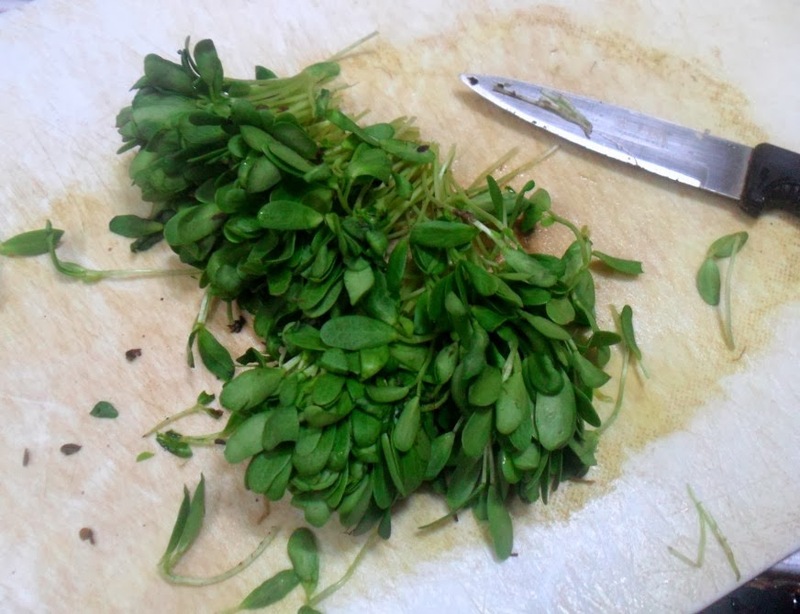 Chop he leaves finely. 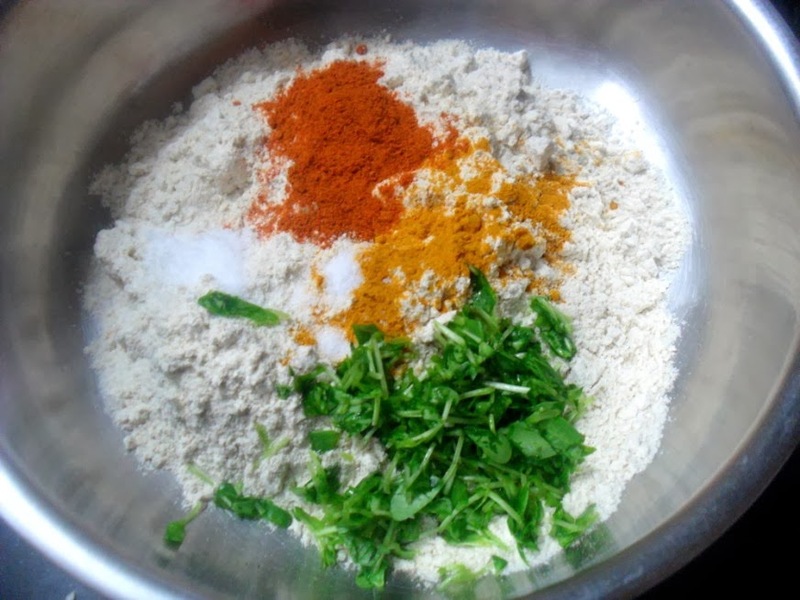 Take the flour in a bowl, add the leaves, salt, turmeric, red chili powder, cumin powder. Mix together well. Heat tawa, grease with oil. Dust and roll out the balls as discs. Cook on both sides as you normally do. When you packing these rotis, make sure they are foil wrapped or stacked over cloth napkins. This cannot be happening Srivalli! 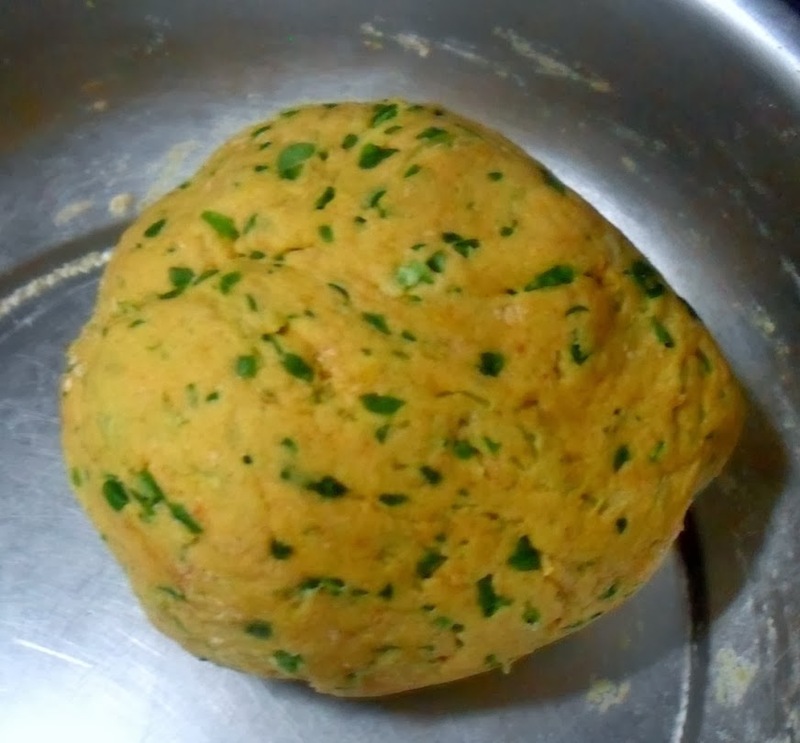 am also doing a methi paratha for the travel recipes but a slightly different way. 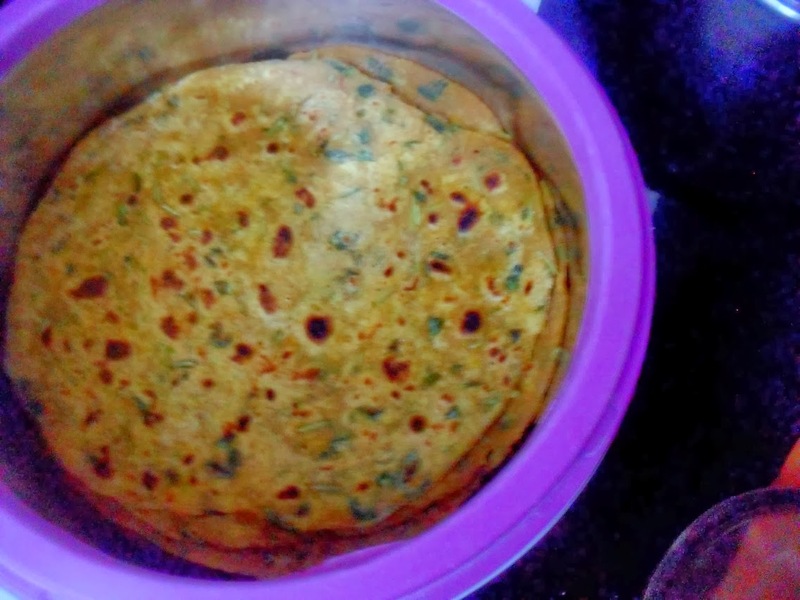 I love methi parathas and these are perfect when traveling. Thakkali thokku and train journey oh yes!!!! I still remember the taste as i read your post!!!! Thanks for bringing back those memories!!! 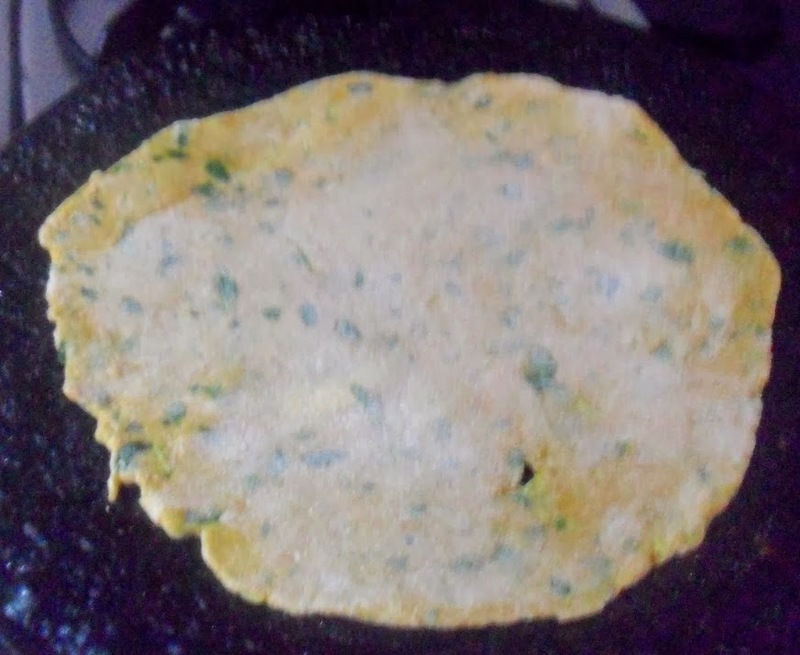 I too make methi roti's the same way, very colorful and flavorful roti!!! 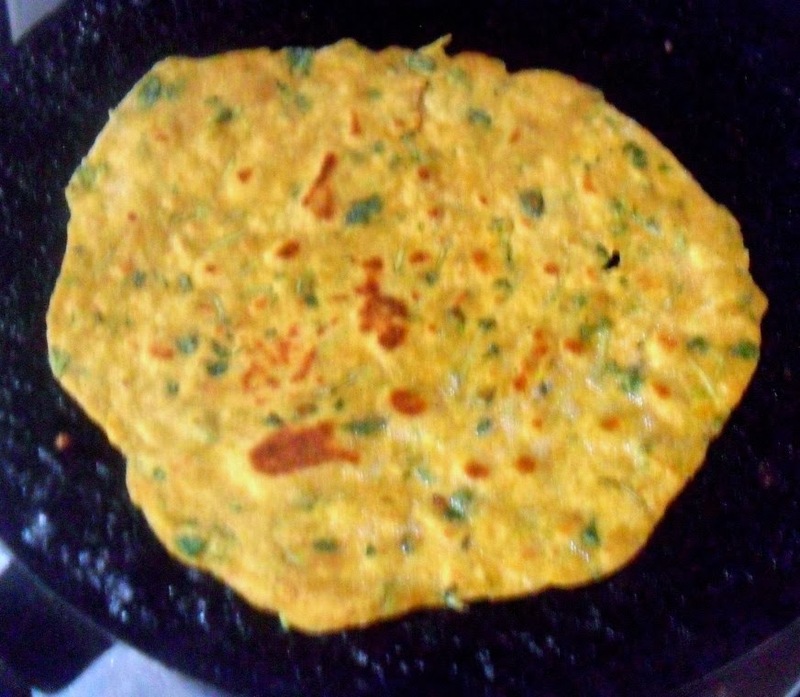 Yummy looking methi parathas. I have something similar coming up next week. Love methi parathas. They look delicious!